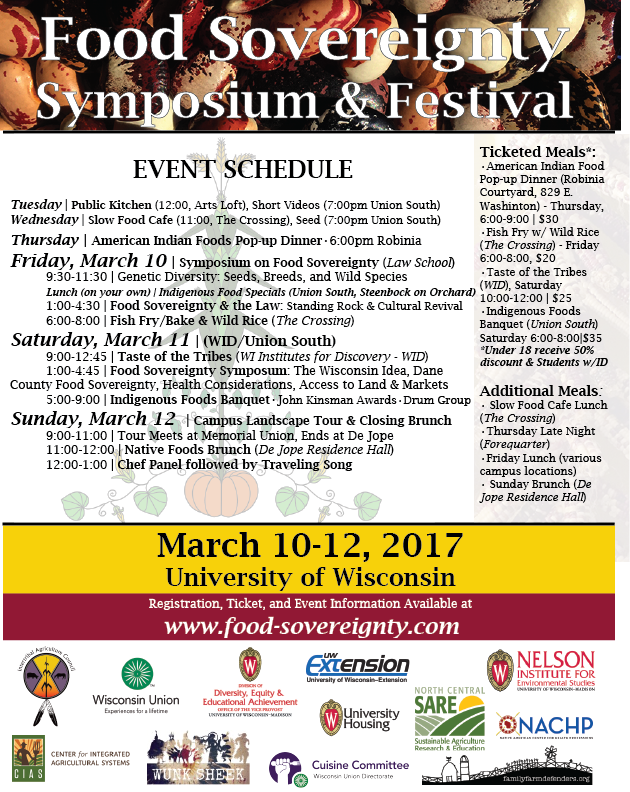 The Food Sovereignty Symposium and Festival will be held March 10-12 on the University of Wisconsin campus and surrounding sites in Madison, Wisconsin. The symposium component of event is focusing on Indigenous and broader topics of food sovereignty that impact how communities and individuals control and manage their food systems, and the festival component is a celebration of Indigenous, local, and regional foods. The symposium begins at 9:30 a.m. Friday, March 10, with “Genetic Diversity: Seeds, Breeds, and Wild Species.” A session on “Food Sovereignty and the Law” begins at 1 p.m.